Answer: Many believe that the Bible represents the Lord, represents God and that belief in the Lord means belief in the Bible, belief in the Bible is the same as belief in the Lord. People afford the same status to the Bible as they do to God. There are even those who acknowledge the Bible without acknowledging God. They think of the Bible as the supreme, and even endeavor to replace God with the Bible. There are even religious leaders who acknowledge the Bible without acknowledging Christ, and claim that those who preach the second coming of the Lord are heretics. Exactly what is the issue here? It’s obvious, the religious world has sunk to the point where they only acknowledge the Bible and fail to believe in the Lord’s return—there’s no saving them. From this it is clear, the religious world has become a group of antichrists, resisting God and taking God as their enemy. It is undeniable that many religious leaders are hypocritical Pharisees. Especially those claiming that “those who preach the second coming of the Lord are heretics,” they are all antichrists and unbelievers. It seems many people don’t know what exactly faith in the Lord is. They call their belief in this vague God the orthodox faith and even believe in the Bible in place of God. They even deny and condemn Christ incarnate of the last days. They ignore and neglect any truth which Christ expresses. What is the problem here? It’s quite a deep question! Back in the days when Jesus did His work, did the Jews not act in just the same way? Before Christ appeared to perform His work, man all based their faith in God on the Bible. No one could tell whose faith was real and whose was false, and certainly no one could tell who was truly obeying God and who was opposing Him. Why was it that when the Lord Jesus Christ became flesh and performed His work, each kind of man was revealed? This is where God’s almightiness and wisdom lie. When Almighty God, Christ of the last days, appears and performs His work, the wise virgins hear His voice and see the footprints of God; thus, naturally, they are brought before God’s throne. As for those foolish virgins, because they insist on the Bible and fail to recognize that Almighty God, Christ of the last days is indeed God, they are thus revealed and cast off. For now they still hold firm to their so-called faith, but when the disasters come, they will end up with wailing and gnashing of teeth. From this we can see, those that only cling to the Bible and fail to accept the truth, those that only believe in God in heaven but fail to accept the incarnate Christ are all unbelievers and will surely be eliminated by God. This is the truth! Let’s see what Almighty God says about this. Almighty God says, “From the time when there was the Bible, people’s belief in the Lord has been the belief in the Bible. Instead of saying people believe in the Lord, it is better to say they believe in the Bible; rather than saying they have begun reading the Bible, it is better to say they have begun believing in the Bible; and rather than saying they have returned before the Lord, it would be better to say they have returned before the Bible. In this way, people worship the Bible as if it were God, as if it were their lifeblood and losing it would be the same as losing their life. People see the Bible as being as high as God, and there are even those who see it as higher than God. If people are without the work of the Holy Spirit, if they cannot feel God, they can carry on living— but as soon as they lose the Bible, or lose the famous chapters and sayings from the Bible, then it is as if they have lost their life” (“Concerning the Bible (1)” in The Word Appears in the Flesh). “They believe in My existence only within the scope of the Bible. For them, I am the same as the Bible; without the Bible there is no Me, and without Me there is no Bible. They pay no heed to My existence or actions, but instead devote extreme and special attention to each and every word of Scripture, and many of them even believe that I should not do anything I wish to do unless it is foretold by Scripture. They attach too much importance to Scripture. It can be said that they see words and expressions as too important, to the extent that they use verses from the Bible to measure every word I say, and to condemn Me. What they seek is not the way of compatibility with Me, or the way of compatibility with the truth, but the way of compatibility with the words of the Bible, and they believe that anything that does not conform to the Bible is, without exception, not My work. Are such people not the dutiful descendants of the Pharisees? The Jewish Pharisees used the law of Moses to condemn Jesus. They did not seek compatibility with the Jesus of that time, but diligently followed the law to the letter, to the extent that they ultimately nailed the innocent Jesus to the cross, having charged Him with not following the law of the Old Testament and not being the Messiah. What was their essence? Was it not that they didn’t seek the way of compatibility with the truth? They obsessed over each and every word of the Scripture, while paying no heed to My will and the steps and methods of My work. They were not people who sought the truth, but people who rigidly followed the words of Scripture; they were not people who believed in God, but people who believed in the Bible. Essentially, they were watchdogs of the Bible. In order to safeguard the interests of the Bible, and uphold the dignity of the Bible, and protect the reputation of the Bible, they went so far as to nail the merciful Jesus onto the cross. This they did merely for the sake of defending the Bible, and for the sake of maintaining the status of each and every word of the Bible in people’s hearts. So they preferred to forsake their future and the sin offering to condemn Jesus, who did not conform to the doctrine of Scripture, to death. Were they not lackeys to each and every word of Scripture? And what of people today? Christ has come to release the truth, yet they would rather expel Him from among man in order to gain entry into heaven and receive grace. They would rather completely deny the coming of the truth in order to safeguard the interests of the Bible, and would rather nail the Christ returning to flesh to the cross again in order to ensure the everlasting existence of the Bible. How can man receive My salvation, when his heart is so malicious, and his nature so antagonistic toward Me?” (“You Should Seek the Way of Compatibility With Christ” in The Word Appears in the Flesh). Having read Almighty God’s words, let us ponder together: What does it mean to believe in the Lord? What does it mean to believe in the Bible? What is the relationship between the Bible and the Lord? Which came first, the Bible or the Lord? Then who is it that does the work of salvation? Then, can the Bible stand in for the Lord in doing His work? Can the Bible represent the Lord? If people put blind faith in the Bible and worship the Bible, does this mean that they believe in and worship God? Is holding onto the Bible tantamount to practicing and experiencing God’s word? Does holding onto the Bible necessarily mean that one is following the Lord’s way? So if people place the Bible before everything else, does this mean that they are worshiping the Lord as great, that they are reverent of and obedient to the Lord? No one sees the truth of these issues. For thousands of years, people have been blindly worshiping the Bible and affording the same status to the Bible as they do to the Lord. Some even use the Bible to substitute for the Lord and His work, but no one truly knows the Lord and is obedient to Him. The Pharisees held onto the Bible, yet nailed the Lord Jesus to the cross. What was the issue? Does understanding the Bible mean knowing God? Does holding onto the Bible mean following the Lord’s way? The Pharisees were experts of biblical exegesis, but they didn’t know God. Instead, they nailed the Lord Jesus who expressed the truth and did the redemptive work, to the cross. Have we actually forgotten this? Exactly what does it mean to really know God? Does just being able to interpret the Bible and understanding the Bible knowledge qualify as knowing God? If that’s the case, then why would the Pharisees condemn and oppose the Lord Jesus even as they interpreted the Bible? 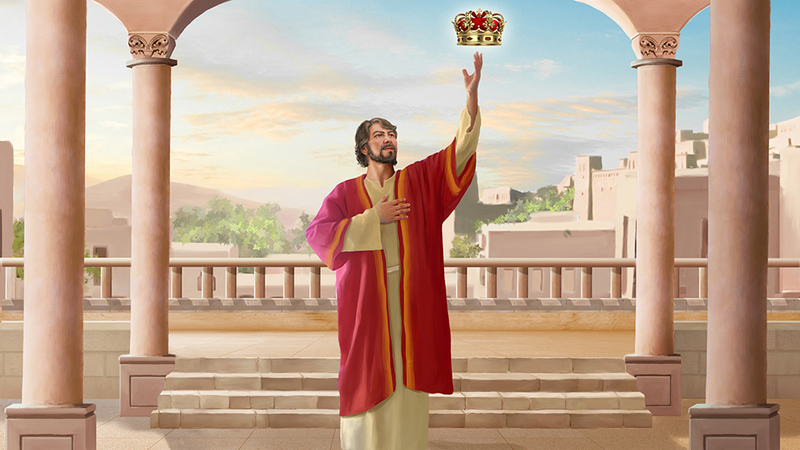 The key of whether one is able to truly know and obey God is whether or not he knows and obeys the incarnate Christ. God incarnate reveals all of mankind, this is what most people fail to realize. The Lord Jesus’ curse on the Pharisees is testament to the fact that God treats everyone with righteousness. As is clear, if one does not obey and worship the Lord but only blindly believes in and worships the Bible, he will not receive God’s approval. If man’s faith consists solely in abiding by the Bible and their heart has no place for the Lord, if they cannot worship the Lord as great and practice His words, if they are incapable of accepting and obeying God’s work and guidance, then, everyone, wouldn’t you say that such a man is a hypocritical Pharisee? Is such a man not an antichrist, a man who has made Christ his enemy? For sure! Thus, if man only clings to the Bible, this certainly does not mean that he has gained truth and life. It is wrong to worship and blindly follow the Bible, by doing so one certainly will not receive the Lord’s approval. God has become flesh and expressed the truth to purify and save man, and to rescue him from Satan’s influence so that he may obey God, worship God and be gained by God in the end. This is the purpose and meaning of God incarnate doing His work. The key to our faith is seeking the truth, and practicing and experiencing the Lord’s word. Only in this way will we receive the work of the Holy Spirit and come to know the Lord. Then, we will be able to fear the Lord, and magnify the Lord in our heart. Also, we will have true faith and obedience in Him. This is the true meaning of our faith in the Lord. Only by practicing faith in this way will we receive the Lord’s approval. From this, everyone can plainly see that belief in the Bible is not tantamount to belief in God. So what is the relationship between God and the Bible? With regard to this question, the Lord Jesus spoke very clearly. “Search the scriptures; for in them you think you have eternal life: and they are they which testify of me. And you will not come to me, that you might have life” (Jhn 5:39-40). From the Lord Jesus’ words, it is very clear that the Bible is only a testimony to God, it is merely a record of God’s work in the past. The Bible does not represent God, because the Bible only contains a limited account of God’s words and work. How can this limited account of God’s words and work represent God? God is the Creator who fills all in all, He is the Master of all things. God’s life is unlimited and inexhaustible. God’s abundance, greatness man can never fathom. And the limited record of God’s words and work found in the Bible is but a drop in the vast sea of God’s life. How could the Bible represent God? How could the Bible be on a par with God? God can do work to save man, can the Bible do work to save man? God can express the truth, can the Bible do that? God can enlighten, illuminate and guide man at any time, can the Bible do it? Of course not! So, the Bible cannot represent God! Man places the Bible on a par with God and thinks that the Bible can represent God. Is this not a belittlement and blasphemy of God? If man uses the Bible in place of God’s work, this is a denial and betrayal of God. God is God, the Bible is the Bible. The Bible cannot represent God, nor can it stand in place of God’s work. The Bible is just a record of God’s work. The words of God within the Bible are truth. They are a manifestation of the life disposition of God, and can show God’s will. But each stage of God’s work only represents God’s requirement and will for mankind during that age. They do not represent the words and work of God in other ages. With regard to the inside story of the Bible, I think we can have a look at a passage from Almighty God. 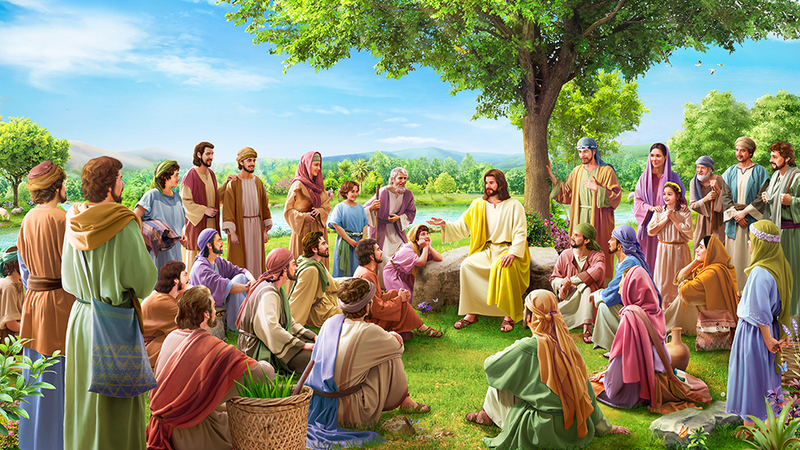 Almighty God says, “No one knows the reality of the Bible: that it is nothing more than a historical record of God’s work, and a testament to the previous two stages of God’s work, and offers you no understanding of the aims of God’s work. Everyone who has read the Bible knows that it documents the two stages of God’s work during the Age of Law and the Age of Grace. The Old Testament chronicles the history of Israel and Jehovah’s work from the time of creation until the end of the Age of Law. The New Testament records Jesus’ work on earth, which is in the Four Gospels, as well as the work of Paul; are they not historical records?” (“Concerning the Bible (4)” in The Word Appears in the Flesh). “What they recorded, it can be said, was according to their level of education and human caliber. What they recorded was the experiences of men, and each had their own means of recording and knowing, and each record was different. Thus, if you worship the Bible as God you are extremely ignorant and stupid! Why do you not seek the work of the God of today? Only the work of God can save man. The Bible cannot save man, it has not changed at all for several thousands of years, and if you worship the Bible you will never gain the work of the Holy Spirit” (“Concerning the Bible (3)” in The Word Appears in the Flesh). “People’s approach to the Bible is one of obsession and faith, and no one can be completely clear about the inside story or substance of the Bible. Thus, the result is that today, people still have an indescribable sense of magicalness when it comes to the Bible; even more than that, they are obsessed with it, and have faith in it. … With such blind belief in the Bible, with such trust in the Bible, they have no desire to seek the work of the Holy Spirit. 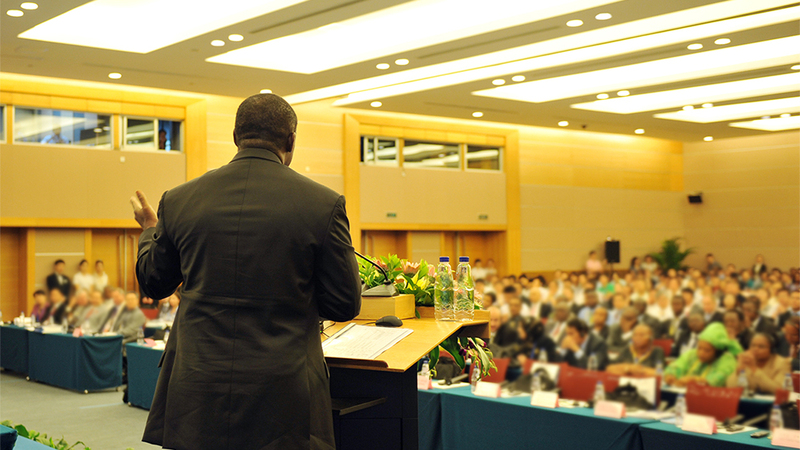 In people’s conceptions, they think that only the Bible can bring the work of the Holy Spirit; only in the Bible can they find the footsteps of God; only in the Bible are hidden the mysteries of God’s work; only the Bible—not other books or people— can clarify everything of God and the entirety of His work; the Bible can bring the work of heaven to earth; and the Bible can both begin and conclude the ages. With these conceptions, people have no inclination to search for the work of the Holy Spirit. So, regardless of how much of a help the Bible was to people in the past, it has become an obstacle to God’s latest work. Without the Bible, people can search for the footsteps of God elsewhere, yet today, His footsteps have been ‘contained’ by the Bible, and extending His latest work has become double difficult, and an uphill struggle. This is all because of the famous chapters and sayings from the Bible, as well as the various prophecies of the Bible. The Bible has become an idol in people’s minds, it has become a puzzle in their brains, and they are simply incapable of believing that God can work exclusive of the Bible, they are incapable of believing that people can find God outside of the Bible, much less are they able to believe that God could depart from the Bible during the final work and start anew. This is unthinkable to people; they can’t believe it, and neither can they imagine it. The Bible has become a great obstacle to people’s acceptance of God’s new work, and a difficulty to God’s broadening this new work.” “After all, which is greater: God or the Bible? Why must God’s work be according to the Bible? Could it be that God has no right to exceed the Bible? Can God not depart from the Bible and do other work? Why did Jesus and His disciples not keep the Sabbath? If He were to keep the Sabbath and practice according to the commandments of the Old Testament, why did Jesus not keep the Sabbath after He came, but instead washed feet, covered head, broke bread, and drank wine? Isn’t this all absent from the commandments of the Old Testament? If Jesus honored the Old Testament, why did He defy these doctrines? You should know which came first, God or the Bible! Being the Lord of the Sabbath, could He not also be the Lord of the Bible?” (“Concerning the Bible (1)” in The Word Appears in the Flesh). Seeking and exploring the truth with regard to the question of whether the Bible can represent God and what relationship is between the Bible and God is of the utmost importance. First we must come to know: What kind of God is God? Only God can save mankind and guide mankind. Only God can determine the fate of mankind. This is a widely acknowledged fact. Now let’s think over this: How was the Bible made? After God had finished His work, the men used by Him wrote down their testimonies and experiences, and these testimonies and experiences were later compiled to make the Bible. That’s why we can state with great certitude that the Bible is merely a record of God’s work in the past, it is nothing more than a testimony to God’s work. The Bible cannot represent God, nor can it stand in place of God to do the work of saving man. If man’s faith is based only on reading the Bible and not on experiencing God’s work, he will never receive the work of the Holy Spirit and be saved. Why do I say this? Because God’s work of salvation is an ongoing development. Thus, we shouldn’t fixate on one or two stages of God’s work. We must follow the footsteps of God’s work until God completes His work of saving mankind. Only in this way can we receive God’s full salvation and enter into the pleasant destination of mankind. God’s management plan of salvation includes three stages of work: the work of the Age of Law, the Age of Grace, and the Age of Kingdom. Now everyone understands that the Age of Law was the time when God used laws to guide the life of man. The Age of Grace was when God did the redemptive work on mankind. The Lord Jesus was nailed to the cross so as to redeem mankind from the domain of Satan, pardon them from their sins, and qualify them to come before God, pray to God, and commune with Him. As for the work of judgment in the Age of Kingdom, this is the very work to thoroughly cleanse, save, and perfect all of mankind. If mankind only passes through the work of the Age of Law and the Age of Grace but fails to accept God’s judgment in the last days, they will not be thoroughly saved and gained by God. Why is this? We can all see that in the Age of Grace the Lord Jesus’ work was only to redeem mankind. In this age, believing in the Lord only allowed us to be forgiven of our sins, be qualified to pray to God, and enjoy all of God’s grace, but we failed to attain purity during this age. Because we have sinful nature within us, and often commit sins, rebel against and oppose God, the Lord Jesus promised that He shall come again, and express all the truths that save mankind in the last days to purify all those who hear the voice of God and are brought before God’s throne. Just as the Lord Jesus foretold: “I have yet many things to say to you, but you cannot bear them now. However, when he, the Spirit of truth, is come, he will guide you into all truth: for he shall not speak of himself; but whatever he shall hear, that shall he speak: and he will show you things to come” (Jhn 16:12-13). Almighty God’s words and work are a complete fulfillment of the verse in John: “when he, the Spirit of truth, is come, he will guide you into all truth.” So Almighty God is the return of the Lord Jesus. 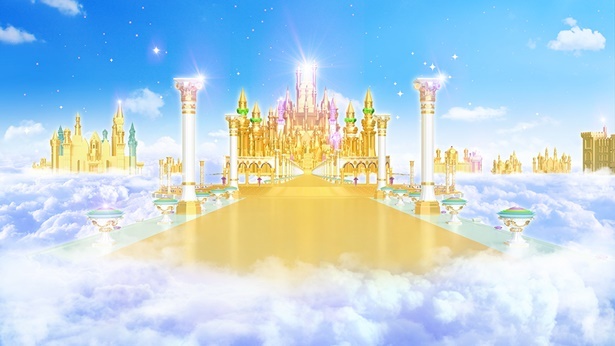 Almighty God is currently engaged in the work of judgment in the last days, and is purifying and perfecting all those who have come before His throne, that is, perfecting those wise virgins who have returned toward Him after hearing His voice to be overcomers so as to bring them into the kingdom of God. The fact of God doing three stages of work for salvation allows us to see that God has always been working to guide and save mankind. Each stage of God’s work is more elevated and more profound than the last. As for the Bible, it’s no more than a must book for us God’s followers. The Bible cannot do the work of God, to guide and save mankind. The Bible is just a record of God’s work. When God had completed a work, man recorded His words and work and compiled them to make the Bible. Though the Bible is indispensable to man’s faith, only by receiving the work of the Holy Spirit can man truly understand the Bible and the truth. This is fact. So, faith in the Lord requires us to follow the footsteps of the Lamb closely, accept and obey God’s work of judgment in the last days. Only in this way can we receive the work of the Holy Spirit and God’s salvation and perfection. If we only read the Bible but fail to accept the words and work of God in the last days, we cannot be purified and saved. Actually, even if all of God’s words were recorded in the Bible, without the work of the Holy Spirit, we would still be incapable of understanding and knowing God’s word. To understand the truth, we must experience and practice the words of God, we must receive the enlightenment and illumination of the Holy Spirit. Only thus can we understand God’s word, understand the truth, enter into the reality of the truth and be perfected by God. With regard to this, we need to understand a fact: As a believer, what is the key to our salvation? The key is the work of the Holy Spirit, the perfection of the Holy Spirit. Now, who is the Holy Spirit? Is the Holy Spirit not just God Himself? The Bible is just a record of God’s work in the past. So how could it possibly stand in for God Himself? So as I’ve said, only God can save man, the Bible is incapable of saving man. If our faith consists only in adhering to the Bible and not in accepting the words and work of God in the last days, if we don’t follow the steps of God’s work, we will be abandoned and eliminated. In the Age of Law, there were many that failed to accept the work of the Lord Jesus, they were eliminated. Those who believe in the Lord Jesus but fail to accept the work of Almighty God in the last days will also be abandoned and eliminated. It can be said that these people are blind and do not know God. All that is left for them is to bear the brunt of the coming disasters, wailing and gnashing their teeth. 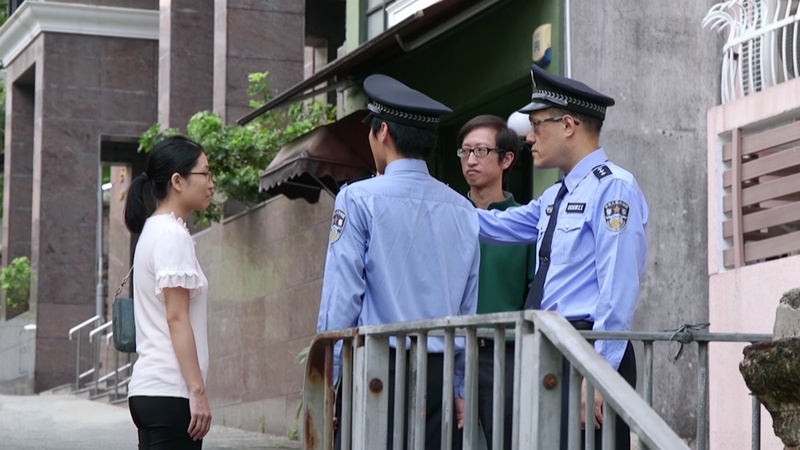 The work of judgment done by Almighty God in the last days through expressing the truth is the core work in God’s management plan to save all of mankind. It is also the last stage of God’s work to thoroughly purify, save and perfect mankind. So if believers only keep to the first two stages of work described in the Bible but fail to accept the work of purification and salvation done by Christ of the last days, they will never be saved and enter into the kingdom of God. No matter how many years these people have faith in the Lord, it will all be for naught, because all those that reject the end-time salvation of Almighty God are opponents of God, they are all hypocritical Pharisees. There is absolutely no question about this. Even though the Pharisees rejected the Lord Jesus on the basis of the Bible and in the last days, the elders and pastors reject the work of Almighty God on the basis of the Bible, their arguments do not hold up. Because they do not base their arguments on God’s word, but on the letter of the Bible. As far as God is concerned, no matter how many reasons one may have, anyone who fails to accept the work of Almighty God in the last days is an opponent and betrayer of God. In God’s eyes, they are all evil-doers, God will never acknowledge them. These antichrists and unbelievers exposed by the work of God in the last days will have to bear the punishment of the disasters to come with wailing and gnashing of teeth. They have all been cast off and eliminated by God forever, and will never again have the opportunity to see God and receive His approval. This is fact. Here, we can come to understand a fact: The Bible just cannot represent God, and certainly cannot stand in for God’s work. God is God, the Bible is the Bible. So, since we believe in God, we must experience God’s work and follow the pace of God’s work, we must eat and drink the words God expresses in the last days, and we must accept and follow all the truths that God expresses. This is the true meaning of faith in God. Every time that God becomes flesh to work, He has to cast off and eliminate those who only adhere to the Bible but fail to know and obey God. So, we can say with confidence, “Faith in God must be in line with the Bible, abiding by the Bible is true faith in God, the Bible represents God,” these assertions are pure fallacy. Anyone who makes such assertions is blind and does not know God. If man were to put the Bible above all else and use the Bible in place of God, would he not be walking down the path of the Pharisees? That’s just what the Pharisees did… The Pharisees adhered to the Bible in opposition to God, as a result they met with God’s curses. Is this not fact? Previous：Question (8): For 2,000 years, the religious world has upheld the belief that “the Bible is given by inspiration of God, that it is all God's word”, so the Bible represents the Lord. Those who deny that the Bible is given by inspiration of God and is His word will definitely be condemned and labeled as heretics by the religious world. Is my understanding of this wrong? Question (1): You bear witness that Almighty God is the return of the Lord Jesus. This is impossible! “Immediately after the tribulation of those days shall the sun be darkened, and the moon shall not give her light, and the stars shall fall from heaven, and the powers of the heavens shall be shaken: And then shall appear the sign of the Son of man in heaven: and then shall all the tribes of the earth mourn, and they shall see the Son of man coming in the clouds of heaven with power and great glory” (Mat 24:29-30). If the Lord really had returned, He should have done so with great glory while descending upon a cloud. Moreover, heaven and earth would have quaked, and the sun and moon would have stopped shining. So far such sights have not manifested, so how can they say the Lord has already returned? Just what exactly is all this about?